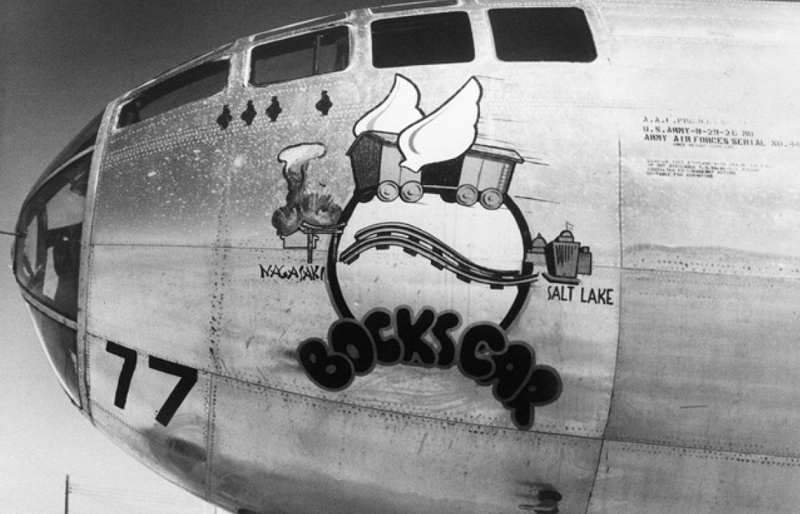 As the American B-29 dubbed Bock’s Car approached Kokura around 9:45 a.m., the crew strapped on their parachutes and donned protective purple goggles. The B-29 buzzed 30,000 feet over the city with its pneumatic bomb bay doors open—but as bombardier Kermit Beahan peered through the rubber eyepiece of his Norden bombsight, he saw only gray clouds and black smoke in his crosshairs. Pilot Charles Sweeney called off the bomb run over Kokura and flew to Nagasaki. Kokura was the backup target for the "Little Boy" bomb on August 6, 1945, so if Hiroshima had been clouded over, the first atomic bomb would have been dropped on Kokura. Kokura was the primary target for the "Fat Man" bomb on August 9, 1945, but on the morning of the raid, the city was obscured by clouds and smoke from the firebombing of the neighboring city of Yahata the day before. 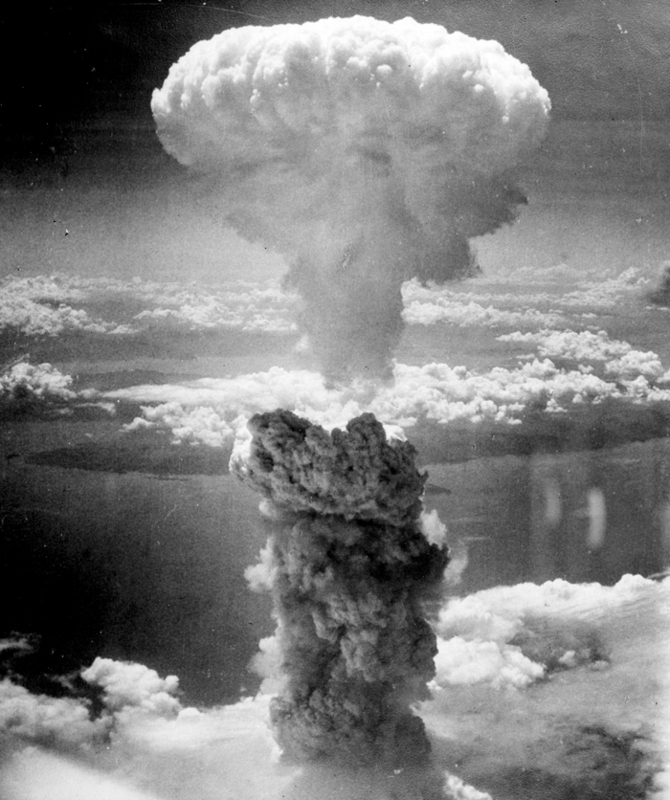 Since the mission commander Major Charles Sweeney had orders to drop the bomb visually and not by radar, he diverted to the secondary target, Nagasaki. Two articles offer surprising details on just how lucky Kokura was—but did enterprising residents create the haze that obscured the U.S. bombadier’s sightings?